Thats different, forty one (41) years ago I had to fight my way through this country and this guys eats his way though it. This rather sage pronouncement came in response to a tv story about this culinary journey of 365 meals. 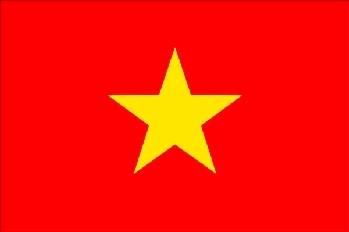 To be sure Vietnam is a different world today than two score and one year ago, and a different sort of modern day battle wages on. These days skirmishes with the occasional rogue meal give pause to westerners wondering what the hell are they thinking with some of this mess. The squid blimps the other day were a culinary truce fomenting some much needed confidence to venture off the food trail just a little bit more. 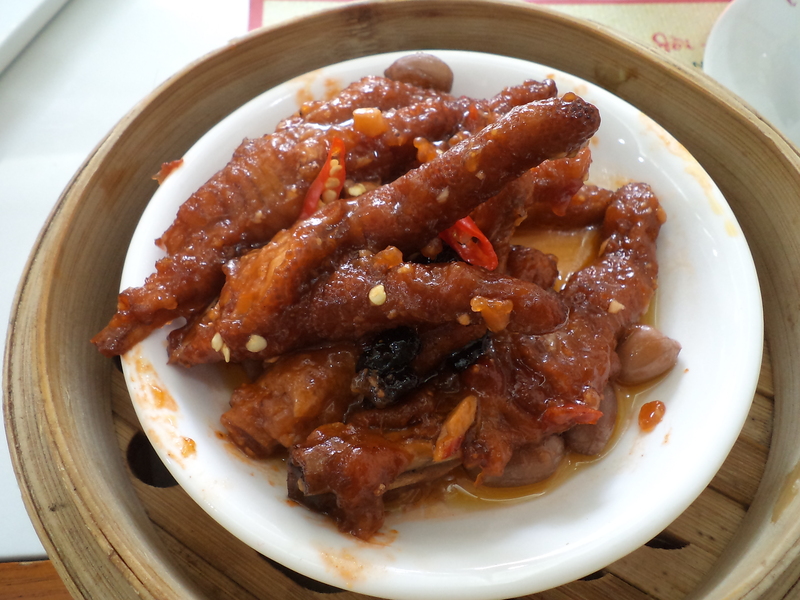 This shaky peace accord has, however, been eviscerated by chicken feet which at first seemed a daring lunch. Yes, chicken feet. Steamed chân gà tầu xì in black bean sauce to be exact served up at Dim Sum House, 139A Nguyen Trai in District 1. Have you ever steamed a chicken? Remember how rubbery that thing got? Well, steaming the feet and lower legs gives the cat tongue texture of these walking sticks a surreal pliability such as with a dog’s chew toy. I watched in fascinated horror as our neighbors sucked down bowls of these things like there was no tomorrow. These guys didn’t even seem to masticate the fatty skin or flexible cartilage as they stuck the entire foot in, clamped down and then pulled a bare bone back out. Aren’t we supposed to chew our food 32 times per bite so as to prepare it for proper passage into the digestive tract? Then again should we really expend mouth enzymes breaking down something sure to shoot right through us like a bullet train? As the waitress swapped a $2 check for our bowl of uneaten feet, I got to thinking. Doesn’t anyone over here ever say you know what folks, this just isn’t right. Maybe we need to shut this down and start over fresh with a different cut of the bird. I mean these legs were only yesterday scratching around some turd filled barnyard and now here they are soaked in a spicy red oil laced with salty black beans and boiled peanuts. I think back to Nancy Reagan’s “Just Say No” campaign in the ’80’s. Her message is as timely today as it was then. Tastebuds, I am so sorry for blowing off the former first lady’s advice. I never meant to disgust you with such foul texture and appearance. I promise I’ll make it up to you at KFC soon.